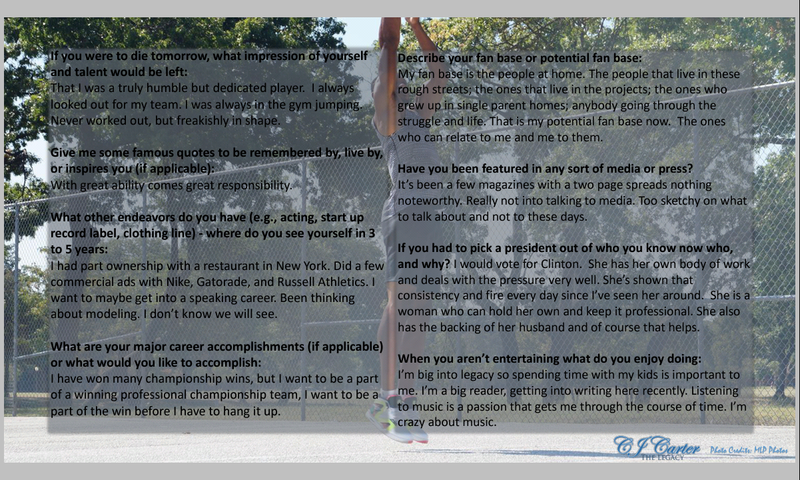 CJ Carter is best known for his dedication to the gym and his need to be better than himself every day. 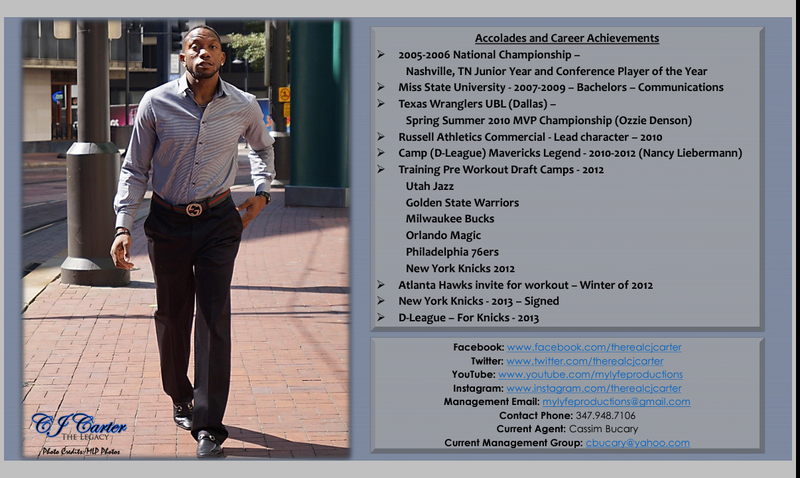 Training and working with teams in the NBA such as the Golden State Warriors, Houston Rockets, Atlanta Hawks, Detroit Pistons, Oklahoma Thunder, New York Knicks and the Milwaukee Bucks, Mr. Carter is not new to the need for passion and hard work that the game requires. Nobody can begin to tell you his journey like CJ Carter. Understanding the essence of growth and being a great leader, this man knows the good, bad and the hard ugly truth about his world professionally and personally. 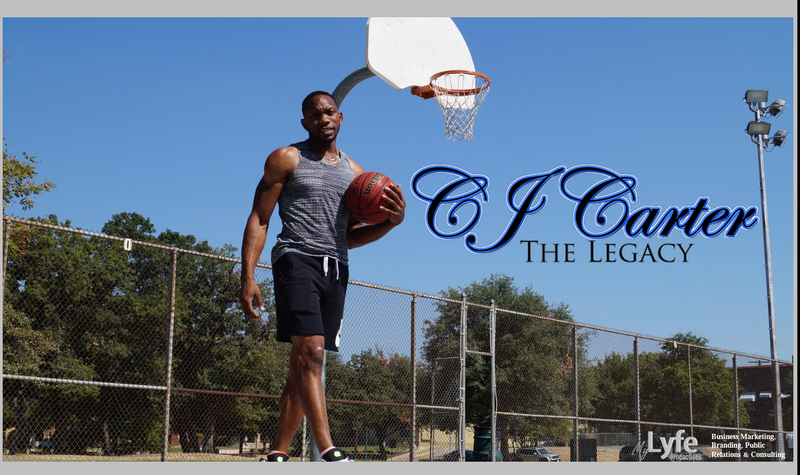 Be sure to follow CJ Carter (@therealCJCarter on Instagram/Twitter and CJ Carter on Facebook) as he takes on Mission Impossible – A Journey Back To The Court of the Soul. 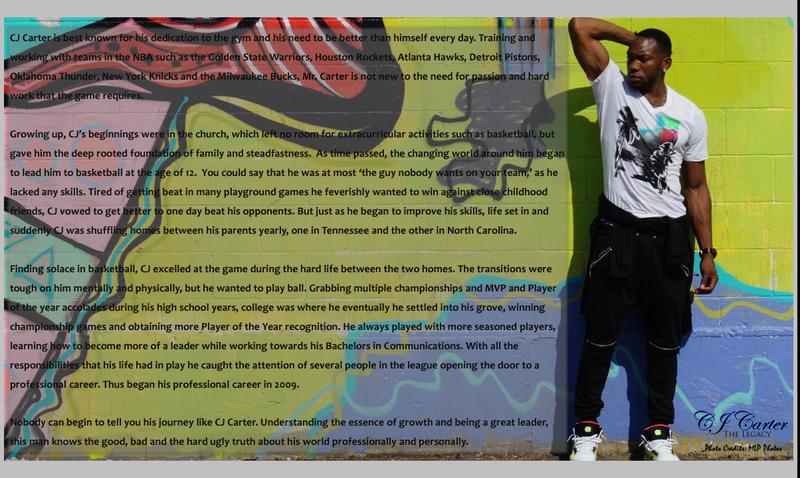 For more information, press, and media inquiries for CJ Carter contact mylyfeproductions@gmail.com or go to https://mylyfeproductions.com/CJCarter. 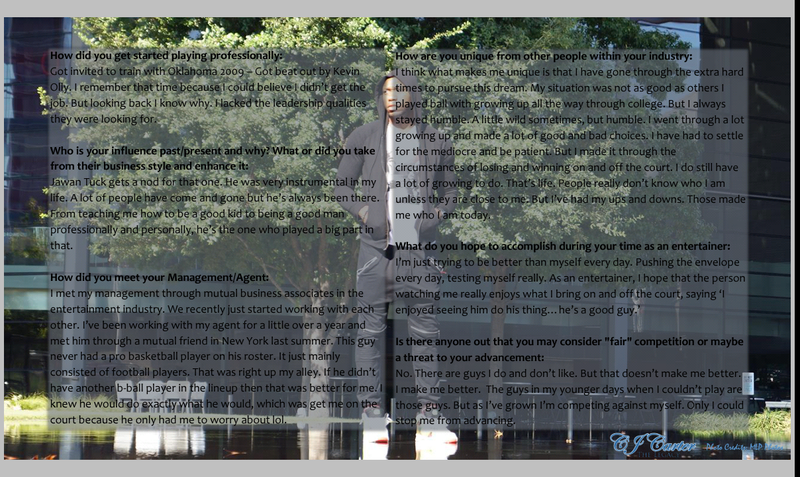 Download CJ Carter EPK Now!